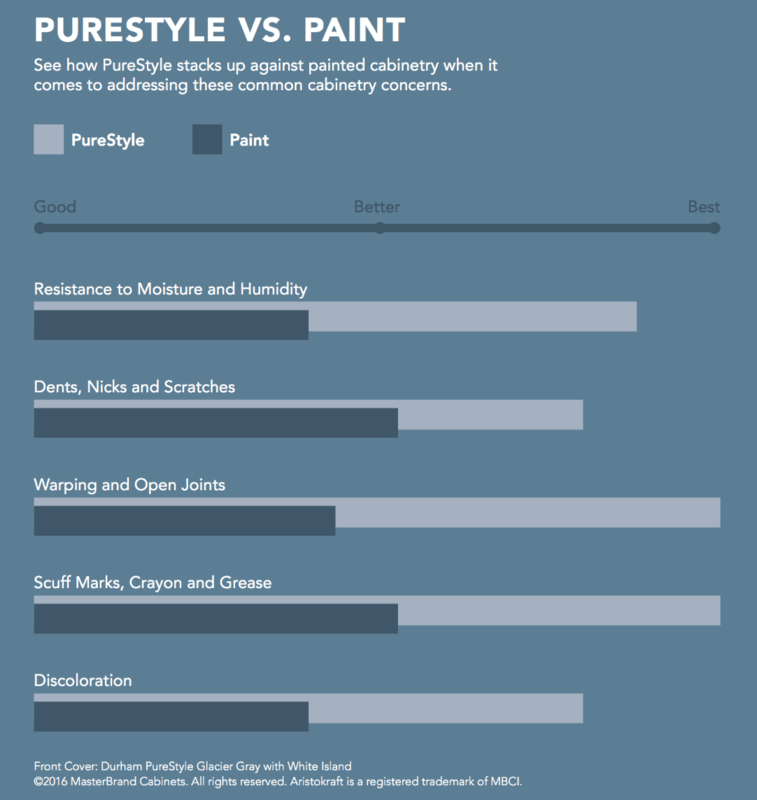 Introducing PureStyle, a cabinetry solution combining the durability of laminate and the beauty of paint. Environmentally friendly and stunningly stable, each component of the 5-piece construction is continuously wrapped to achieve a flawless appearance. The end result of PureStyle laminate cabinets is a crisp look with clean details and a quality finish that is both on-trend and in demand.